29 years ago tonight (1985): Terry Kleisinger never won an NHL game, but he came close in the Islanders’ 1985-86 home opener. Did I mention that Kleisinger, who appeared in only 4 NHL games (0-2-0), was a New York Ranger? Kleisinger’s Rangers had built a 4-2 lead early in the second period but couldn’t hold it. Patrick Flatley scored midway through the second period and Duane Sutter scored early in the third. 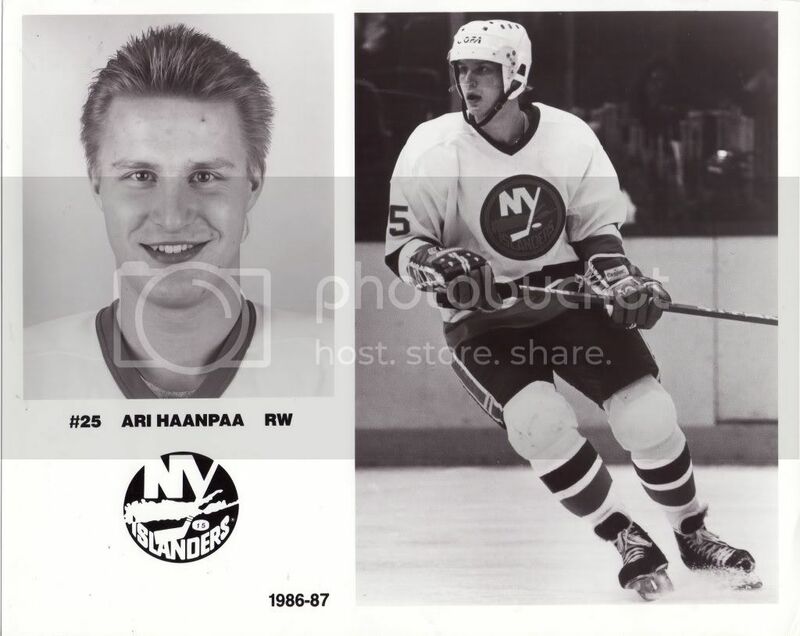 Both goals were set-up by Ari Haanpaa (who I likely won’t mention again in the course of this series). With the clock winding down, it was Pat LaFontaine’s turn to play hero. “I knew that there wasn’t much time left on the clock, so I shot it as quick as I could”. The shot hit James Patrick’s stick and beat the Ranger netminder for the winning tally at 19:36 of the third. Also on this date: (1982) Mike Bossy scored his second goal of the game with 1:14 to play to give the Isles a 5-4 win over Vancouver. John Tonelli also scored twice for the Isles. All-time, the Isles have played eight October 19th games at the Coliseum and finish with a 3-4-1 record on this date at 1255 Hempstead Turnpike in Uniondale.